The Directors of the Company are appointed by Shareholders at General Meetings. All the Directors, except the Nominee Director, are subject to retirement by rotation and at every Annual General Meeting, one third of such retiring Directors, if eligible, generally offer themselves for re-election, in accordance with the provisions of Section 256 and 257 of the Companies Act, 1956 and the Articles of Association of the Company. The Board of Directors provides oversight of the Company's affairs through formulation of strategies, policies and procedures and periodic review of business performance. The Board is comprised of 10 (ten) members as on 31st March 2011, out of which six are Non-Executive Directors, and the remaining four are Executive Directors. The four Executive Directors are the Chairman, the Managing Director and two Wholetime Directors. The Executive Directors are persons of eminence and bring a wide range of expertise and experience to the Board, thereby ensuring the best interest of stakeholders and the Company. At the ensuing Annual General Meeting, Shri. V. Aranganathan, currently an Independent Director, is being proposed for appointment as Wholetime Director, effective from 01.04.2011. If this is approved by the shareholders, the Board will consist of Five Executive and five Non-Executive Independent Directors. April 1, 2004 (Promoter Director) Mr. G.R. Surana belongs to a business family hailing from Rajasthan. He has 35 years of experience in jewellery business and Over 25 years experience in steel business.He has been instrumental in the steady growth of the Company. (Promoter Director) Mr.Dineshchand Surana manages the entire operations of the Company. He started his	career in	steel industry and has over 25 years of experience. He has travelled across countries such as Taiwan, Russia and Romania and gained the expertise in steel making processes. (Wholetime Director) Mr. V.M.Swami is the Director - Finance of SIL. Having worked with Allahabad Bank for 42 years, he retired as the General Manager of the bank. He held temporary	charge Chairman and Managing Director for four months. During his career with Allahabad Bank, he underwent extensive training in Germany and USA in the field of international banking. (Executive Director) Mr.Krishna Udupa looks after the Project implementation of on-going and expansion projects. He has been with Surana Group since 1997. Prior to joining SIL he was working in Punjab National Bank. Jan 27, 2007 Dr. S.K.Gupta is the Chairman of BMM Ispat Ltd. And has earlier been Vice Chairman of Jindal Vijayanagar	Steel. He	has	also	held	the Position	of	Managing	Director of	Rourkela Steel Plant and Chairman of Mecon India Ltd in	The	past. He	is	an	advisor	to	the Government of India and Ministry of Steel. He has experience of around 50 years in steel industry. May 2, 2008 Mr. V.Aranaganthan was previously a partner in accounting firm D. P. Sen & Co. He has been associated with this group for the last 15 years. He has 20 years of experience in Auditing, Taxation, Finance and Banking. May 2, 2008 Mr. K.N.Prithviraj served Oriental Bank of Commerce as Chairman and Managing Director. He has also served in the capacity of Executive Director for United Bank of India. He has a cumulative experience of 41 years in the banking industry. July 26, 2008 Mr. Biju George is currently working in the capacity of DGM at IDBI Bank. He has an extensive experience	in	Project maintenance and planning. He has previously Worked	with	Excel	Glass Refinery and Binani Zinc Ltd. He has been with IDBI Bank since 2001. He has a total experience of 22 years. Oct. 30, 2009 Mr. B.S.Patil has served as the chief secretary to Govt. of Karnataka. He has also headed KSFC & KSSIDC for a period of 7 years. He held the position of the principal secretary to Govt. in Department of Commerce and Industries on three occasions spanning across 8 years. His career has helped him establish contacts with eminent people and institutions across the country, that hold him in very high regard. He has an experience of over 40 years in administrative services. May 15, 2006 Dr.B.Samal was the Chairman and Managing Director of Allahabad Bank and Industrial Investment Bank of India. He has also been a Member of the Appellate Tribunal of SEBI. With his rich experience in Banking and SEBI he has contributed significantly towards the business growth of the Company. He has an experience of over 41 years in the banking sector. As at 31.03.2010, the number of non-executive Directors is more than 50% of the total number of Directors. The Independent Directors on the Board are experienced, competent and highly respected persons from their respective fields. They take active part in the Board and Committee meetings. None of the Directors is a member on more than 10 Committees. The Company is in compliance with the Clause 49 of the listing Agreement pertaining to composition of directors. Necessary disclosures have been made by the Directors in this regard. 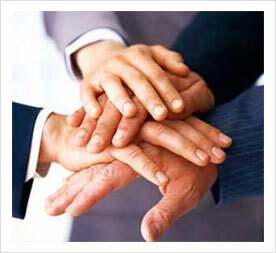 The Board of Directors oversees the entire functioning and operations of the Company. They set parameters and evaluate performance of the Company, and provide direction and guidance in accordance with its Corporate Goals and Statutory Requirements. The Board also monitors the effectiveness of corporate policies and procedures in order to ensure that the long-term interests of shareholders are being served. In this regard, the Managing Director is assisted by the Wholetime Directors, Executive Directors and other senior management staff to ensure proper functioning of the Company in terms of set guidelines. The Board has constituted other Committees, viz. Audit Committee, Shareholders/Investors Grievances Committee, Remuneration Committee, Share Allotment Committee, Project Monitoring Committee [we should list all committees or new committees, as per legal requirement] The Board constitutes additional functional committees from time to time depending upon the organizational requirements. A minimum of four Board meetings are held every year. At times, more meetings are convened depending upon the requirements. Dates for the Board meetings are decided well in advance. In fact, the Board Meetings for the whole year are decided in the first Board meeting of the financial year itself. The Board meetings are usually held at the Corporate Head Office at Chennai. At times, the meetings may also be held at the factory locations, viz. at Gummidipoondi or at Raichur. Notings of the proceedings of the Meeting of Audit Committee and other Committees of the Board, as well as other items as mentioned under Clause 49 of the Listing Agreement. Board Notes are circulated well advance in the devised agenda format. All material information is incorporated in the agenda notes so that there can be meaningful discussions in the Board meetings. All Board meeting minutes are recorded immediately after each meeting is over and these are sent to the Directors in draft form for their approval. Any changes suggested by the Directors in the draft are incorporated and final minutes are thereafter prepared and circulated. The Company has an effective system of follow-up of the decisions taken at the Board meetings. An Action Taken Report is prepared and circulated to the Board at the following meeting. Departmental notes are prepared based on the observations made by the Board and these are sent to respective functional heads for follow up. At the time of preparation of agenda notes, it is ensured that all the statutory requirements are complied with under the Companies Act, 1956, SEBI Regulations and guidelines from other statutory bodies. Number of Directorships and committee memberships / chairmanships. In accordance with clause 49 of the Listing Agreement, memberships/chairmanships of only Audit Committees and Shareholder/Investor Grievance Committees of all Public Limited Companies is included. Experience: Dr. S. K. Gupta, aged 72 years was appointed as the Non-Executive Director of the Company in January 2007. He was previously Professor and Head of Metallurgical Engineering at the Indian Institute of Technology, Bombay. In 1980, he was the recipient of the Metallurgist of the Year Award, and in 1998, he received the National Metallurgist Award. He has published over 75 research papers in India and abroad on technology and management. He holds three patents and is the editor of a publication on blast furnace iron making. He was the Managing Director of Rourkela Steel Plant. Besides, he was also the Chairman of MECON India, a Govt. of India Undertaking. He is an advisor to the Govt. of India, Ministry of Steel. Experience: Dr.B.Samal, aged 68 years, is a Non-Executive Independent Director. He was the recipient of the Seva Ratna award from His Excellency the Governor of West Bengal in the 2002 for his contribution to public service. He started his career as a banker in 1969, and held various positions such as executive, Assistant General Manager, Deputy General Manager, General Manager, in Union Bank before he joined Allahabad Bank as Executive Director. Thereafter, he became Chairman of Allahabad Bank in April, 2000. He specialised in the areas of banking such as rural credit, human resource development and security related activities. His special assignments included being a member of the study group set up by the Indian Bank's Association, on working capital finance including assessment of maximum bank finance, and Chairman of the study group set up by the Indian Bank's Association. Besides, he was also a member of the Securities Appellate Tribunal, Mumbai. The Committee oversees the company’s financial reporting process and the disclosure of its financial information to ensure the correctness, credibility and adequacy of the financial statements. It recommends the appointment of and removal of external auditors, fixation of audit fees and approval of payment for any other services. The Committee reviews with the management the annual and half yearly financial statements before submission to the Board. Payment of Government dues, such as customs duties, excise duties, sales tax, income tax, etc. Policies relating to award of contracts, purchase and sale of raw materials, finished goods, etc. Overview of different items of expenditure incurred by the Company, with particular reference to whether they are extravagant or lavish and whether any diversion of funds, not directly relating to the affairs of the Company, has taken place and to do such other acts, deeds or things, as may be necessary from time to time, to fulfill the objectives aforementioned. The Audit Committee was re-constituted on 27.01.2007 with all the three exclusively Non-Executive Directors and the Company Secretary as the Secretary of the committee. Accordingly, the present Audit Committee consists of the following Non-Executive Directors. The Audit Committee met 4 (four) times during the year under review, i.e. on 14.05.2010, 06.08.2010, 09.11.2010 and 11.02.2011. All the members of the Committee attended all the meetings. The Company has a Share Transfer Committee and Investor Grievance Committee to specifically look into matters relating to Share Transfers, Redressal Of Shareholders and Investors Complaints. All other matters related to shares/ debentures. The Share Transfer Committee comprises of two directors, viz. Shri. Krishna Udupa and Shri. V.M. Swami. The Investor Grievance Committee comprises of three directors, Dr. S.K.Gupta, Dr. B.Samal and Shri. Krishna Udupa. During the year ended 31st March, 2011, the Share Transfer Committee and Investor Grievance Committee met 7 (seven) times and approved share transfers (both physical and demat) and splitting /transmission of shares. The Investor Grievance Committee resolved all the complaints as on 31st March, 2011; there are no investor complaints currently pending. All requests for dematerialization of shares were carried out within the stipulated time and no case was pending as on 31st March 2011. The Company has a Committee of Directors (Remuneration), to consider and fix the remuneration payable to the Executive Chairman, Managing Director and the Whole time Directors. The Remuneration Committee was re-constituted on 06.08.2010 with two Non-Executive Directors and one Executive Director. The Company Secretary acts as the Secretary of the Committee. Accordingly, the present Remuneration Committee consists of three Directors, viz., Dr. S.K.Gupta, Shri. K. N.Prithviraj and Shri. Dineshchand Surana. Two meetings were held during the year on 06.08.2010 and 10.11.2010. Company’s contribution to PF, Gratuity, Medical, leave encashment, LTC, telephone charges, Car with driver. The company pays sitting fees of Rs.10,000/- to the Non-Executive Directors for each of the Board meetings. The sitting fees payable to the Nominee Director is paid to the Nominating Institution, IDBI Bank Limited, as directed by them. No 120, Thiyagaraya Road, T.Nagar, Chennai – 600017. Amendment of the Articles of Association to enable the Company to issue Preference Shares. Amendment of Common Seal Clause in the Articles of Association of the Company. Re-appointment of Shri. V.M. Swami as the Wholetime Director with effect from 06.08.2010 and increase in the monthly remuneration. Proposal to transfer 160.725 acres of land to M/s. Surana Green Power Limited. The postal ballot notice was sent to each shareholder as on the cutoff date decided. The Board appointed Mr. S. Ganesh of M/s. S. Ganesh & Associates, Practicing Company Secretaries, as scrutinizer to conduct the postal ballot in respect of the said resolution. Based on the report submitted by the Scrutiniser, the results of the postal ballot were declared on 30th December, 2010 and the special resolution was passed by a majority of 99.99% of the total valid votes polled. ii) No special resolution is proposed to be passed through postal ballot in the current year. Appointment of Shri. Rajesh Surana as Executive Director of the Company. Appointment of Shri. Mahaveer Surana, as President – Finance of the Company. Appointment of Shri. Deepak Surana, as Senior Vice – President, Marketing, of the Company. 2. At the Annual General Meeting held on 4th July 2009, no special resolutions were passed. 3. At the last Annual General Meeting held on 10th June 2010, no special resolutions were passed. Issue of equity shares on a preferential basis to a select group of persons (not being promoters or belonging to the promoters group). Issue of equity shares / fully convertible debentures / fully convertible preference shares / by way of QIP. Issue of share warrants on a preferential basis to promoters (or belonging to promoters group or relatives). No extra ordinary general meetings were held during the years 2008-2009 and 2009- 2010.
a) No transaction of material nature has been entered into by the Company with related parties i.e. Directors or Management, subsidiaries or relatives, conflicting with the Company’s interest. b) There has been no instance of non-compliance on any matter relating to the capital market or the Listing Agreements. The quarterly, half-yearly and annual Results of the Company are communicated to the Stock Exchanges immediately after they are approved by the Board. The unaudited quarterly financial results of the company were published in the English newspapers viz. Economic Times, Dalal Street Journal and Trinity Mirror and the Tamil version in a Tamil daily viz. Makkalkural. These are not sent individually to the shareholders. Annual Report containing inter alia Audited Annual Accounts, Consolidated Financial Statements, Directors Report, Auditors Report and other important information are circulated to the Members and others who are entitled to receive such information. The Annual Report is also available on the Company's Website. b. Securities and Exchange Board of India (SEBI) vide Circular No CIR/CFD/DCR/3/2010 dated April 16, 2010 has issued a circular on amendment to the Equity Listing Agreement which inter-alia provides for amendment of various clauses of the Equity Listing Agreement. As per the circular, it has been decided to discontinue Electronic Data Information Filing and Retrieval (EDIFAR) System in view of new portal viz., Corporate Filing and Dissemination System (CFDS) put in place jointly by BSE and NSE at the URL www.corpfiling.co.in. c. As required under Clause 49 of the Listing Agreement, the Management Discussion and Analysis Report is annexed to the annual report. The Register of Members will be closed from 01st June 2011 to 7th June 2011 (both days inclusive). P J Towers, Dalal Street, Mumbai – 400 001. # 11, Second Line Beach, Chennai 600 001. Annual Listing fees for the year 2011-12 have been duly paid to all the above stock exchanges. With effect from 31st March, 2003 the Company has appointed M/s. Cameo Corporate Services Limited as Company's Common Agency for Share Registry Work (both for physical & Demat) in Compliance with circular No.D&CC/FITTC/CIR-15/2002 dated 27.12.2002.Therefore the entire share transfer work (both physical & Demat) is centralized at a single point for better Investors Servicing. The Company entered into agreements with National Securities Depository Limited (NSDL), Mumbai and Central Depository Services (India) Limited (CDSL), Mumbai facilitating the Electronic Transfer through dematerialization of Company’s Shares. A qualified Practicing Company Secretary carried out a secretarial audit to reconcile the total admitted capital with NSDL and CDSL and the total issued and listed capital. The audit confirms that the total issued/paid up capital is in agreement with the total number of shares in physical and dematerialized form. Raichur District, Raichur – 584 102. Karnataka. No.30, G N T Road, Madhavaram, Chennai-600110. F 18, SIPCOT Industrial Complex, Gummidipoondi. 10.4.Whistle blower policy: The company has not received any complaint under Whistle Blower policy. As reported to the Shareholders earlier, the Company issued Foreign Currency Convertible Bonds to the extent of US $ 25 Million in June and December 2007. These Bonds are convertible into equity shares at the rate of Rs.140/- per share. These are convertible on or before 20th June, 2012. The Bonds till that time carry an interest rate of 2% per annum. These funds were subscribed by overseas investors. These funds were utilized by the Company for our expansion programme in Raichur. The company has framed a specific code of conduct for the members of the Board of Directors and the Senior Management personnel of the company pursuant to Clause 49 of the Listing Agreement with the stock exchanges to further strengthen Corporate Governance practices in the company. All the members of the Board and Senior Management personnel of the company have affirmed due observance of the said code of conduct in so far as it is applicable to them and there is no non-compliance during the year ended March 31,2011. © Surana Industries Limited 2011. All rights reserved.